Apple Pay is finally here, but for now paying for your lunch with an iPhone isn't exactly the magical experience some people were expecting—even if it is crazy fast. That may change later this though year as Apple rolls out an accompanying rewards and loyalty program, at least according to a report from Bank Innovation. One way they've [Apple] thought up is, say you're in a Duane Reade, hypothetically. You get a push notification from Pepsi that they've worked out a deal with Duane Reade that you can get a free case of Pepsi. Just pick it up and use Apple Pay at the counter. Sounds good to us, and it should definitely help push more people to setup Apple Pay in exchange for a few freebies. But that's not all the Cupertino company has planned. A separate report from Digiday claims Apple Pay could also be incorporated into iAd, Cupertino's mobile ad platform, in the near future. 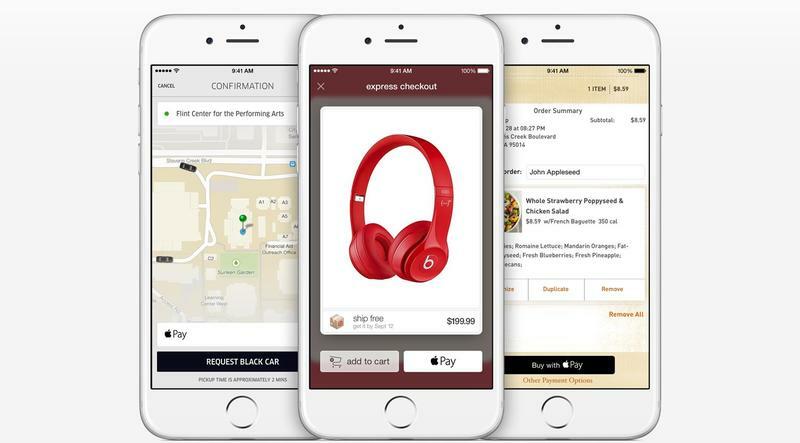 Basically, future ads on your iPhone or iPad would include a buy now Apple Pay button. We've already seen Facebook and Twitter move towards similar concepts, but Apple might have an advantage thanks to its reliance on Touch ID. Either way, it sounds like Apple has big plans for its new mobile payment service well beyond what it released this week. Hopefully we'll get a look at what's coming next for Apple Pay before the end of the year, though until the company makes an official announcement we'll take these rumors with at least a few grains of salt.